Termites can be a nightmare on Cape Cod, where our beautiful and classic homes can fall victim to these unwanted pests. When you need termite eradication or termite prevention on Cape Cod, turn to the experts at Pest Pros. Since 1999, we’ve been serving home and business owners with termite treatment in Yarmouth, MA as well as any other community on Cape Cod. We are fast and dependable, and we deliver environmentally friendly services with each and every treatment. We know that pest issues at your home or business often represent urgent issues, which is why we leap to action any time you call. Get the Cape Cod termite control you need when you call on Pest Pros. Termites put your home at serious risk of damage. 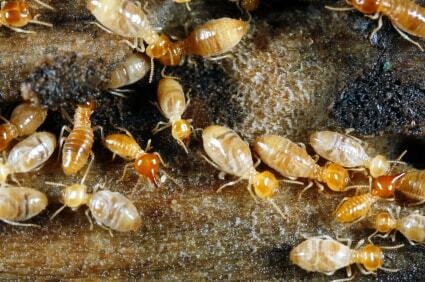 Termites feed on your homes or businesses infrastructure and eat a staggering amount of wood each day. At Pest Pros, we offer a variety of termite treatments to help remove these pests from your home. These treatments include a liquid termite treatment and termite baiting system. Our liquid termite treatment involves applying an undetectable barrier around your home to prevent and eliminate termite colonies. Because the liquid barrier is undetectable termites behave as normally and naturally spread the termiticide throughout their colony. Our Advanced termite baiting system is a way to remove termites without using pesticides, the bait system intercepts and eliminates termite colonies by trapping them. As soon as you notice termites in your home, contact us for help! We provide termite treatment in Chatham, MA and towns throughout Cape Cod. We most often provide service in Plymouth, Sandwich, Falmouth, Yarmouth, Hyannis, Barnstable, Wareham, Dennis, Orleans, Duxbury, Scituate, Kingston and Marshfield, but we can help with termite control and other pest services no matter where you live on Cape Cod. When you choose to move forward with service, you can count on affordable rates and green solutions, which are our hallmark at Pest Pros. Whether you just need termite control tips on Cape Cod or full-blown treatment, make sure you choose Pest Pros for the best of service.